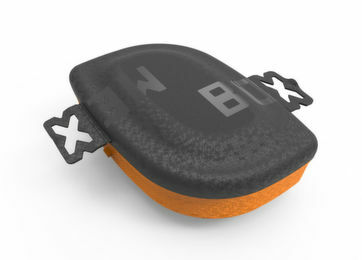 Conventional chucks or face plates reach their limits in cutting applications where thin walled parts are concerned. 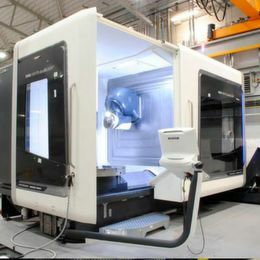 the parts are deformed in the clamping process, shaping and geometric tolerances are difficult to adhere to and the interference contours of the clamping devices restrict the accessibility. However, there are alternatives. For pendulum jaws, users take advantage of the number of clamping points in order to minimize deformations on the workpiece. This way, with identical clamping force and a doubling of the clamping points, the achievable roundness accuracy increases in practice by a factor of 10. Usually, pendulum jaws are made of a movably mounted pendulum body with two clamping inserts, which are mounted on a supporting jaw with the aid of a bearing bolt. 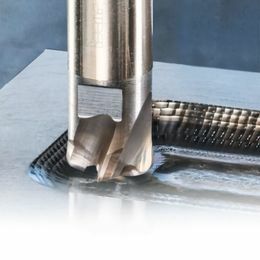 For demanding applications, there may be four or six clamping inserts, either soft or case-hardened. As pendulum jaws are mounted like one-piece top jaws, a conventional 3-jaw chuck can be converted into a 6-point clamping in no time at all. As the jaws are adjusted to the workpiece, they can compensate for form tolerances within a certain range, for instance with cast bodies. 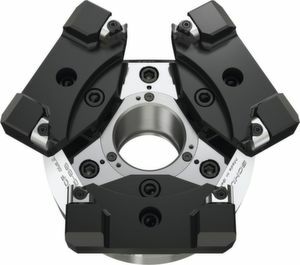 It is beneficial if such pendulum jaws can be fixed for finish machining or for clamping pre-turned surfaces. Furthermore, the jaws should be as light as possible so as to achieve faster speeds. 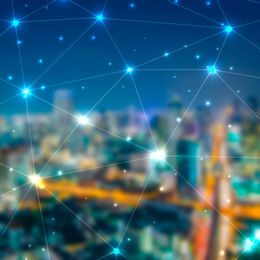 Calculation programs can be used for calculating what compensation is required for achieving specified concentricity tolerances. Primarily for small tolerances, experience pays off, because with matured special solutions, enormous effects can be attained. But there are also restrictions: pendulum jaws are comparably expensive, they wear out easily, are sometimes quite heavy and restricted when it comes to flexibility. 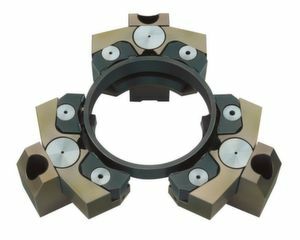 In order to minimize workpiece deformation, the clamping force can be considerably reduced in comparison with previous solutions without restrictions on process reliability. For maximum precision on the component, the concentricity can also be adjusted micron-precisely on the chuck jaws. Additionally, the vibration-damping characteristics of the oil chamber system result in a better surface quality of the workpiece and the tool life. Hydraulic compensation jaws are suitable for low-deformation O.D. 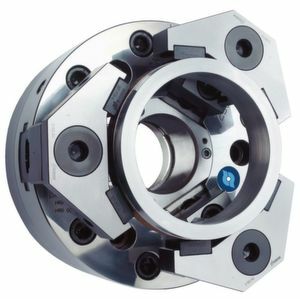 clamping of rough and finished parts and are available for all lathe chuck sizes and serration types.